The home of the pope and the seat of the Holy See, the Vatican is a unique entity, a sovereign city-state that shelters some of the world's most sacred treasures within its hundred and ten acres. The story of this hallowed ground is inextricable from the history of the Catholic Church. 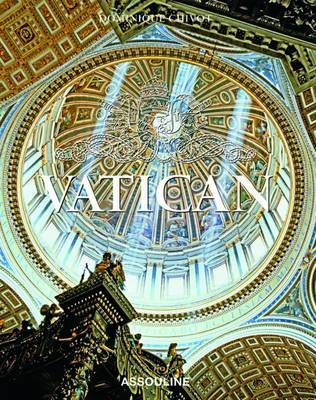 But this book reveals that the Vatican is also a tiny living city of many facets, some of them little known. Vatican expert Dominique Chivot follows the journeys of countless pilgrims and cardinals, tracing their footsteps beyond the plazas, basilicas, and museums to unlock the secrets of Vatican City. Chivot recounts papal history in great anecdotal detail, highlighting the legendary reigns of popes from St. Peter to John Paul II, and illuminating masterpieces of architecture, painting, and sculpture executed by artists such as Bernini, Michelangelo, and Raphael.